Today’s one is ‘Just Keep Swimming’ – firstly because who doesn’t love Dory from Finding Nemo? 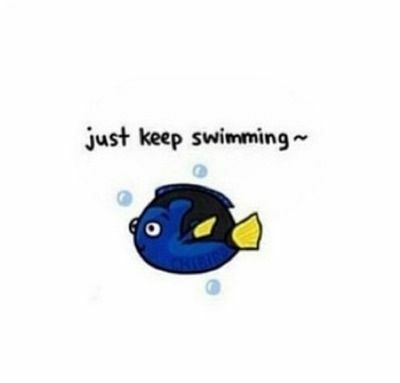 Secondly I feel that I just have to keep swimming to get to the end of certain projects I’m working on right now and thinking of Dory gets me to the end – if it’s a wedding or my re-brand I just have to keep swimming! Thank you so much for all your support and patience. I promise I’ll do a better effort of keeping this up to date.